Single Star Publishing is presenting a Fraser Forum at Coligny Theatre Monday, October 16, 2017 from 5:00 p.m. until 7:00 p.m. Author Charlie Ryan will moderate a panel discussion with men from the book, My Life with Charles Fraser. This is a rare opportunity to meet the people who helped make our island what it is today. The panel includes Doug Corkern, Robert Graves, Ed Pinckney, JR Richardson, EG Robinson, Chuck Scarminach and more. Complimentary wine will be served before the event. Tickets are $5.00 at the door. 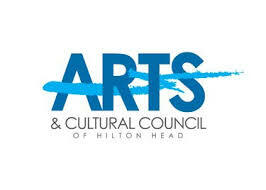 This event is part of Crescendo by the Arts and Cultural Council of Hilton Head. An interesting side note about this is that the Hilton Head Island Institute sold tickets for a “Chat with Charles Fraser”, a film that was to be a lead up to a panel discussion to be held at the Arts Center in 2013. The event was canceled because the Fraser family objected and lawyer, Chuck Scarminach stopped the performance. This time Mr. Scarminach is not only a chapter in the Fraser book, but is also part of the panel.